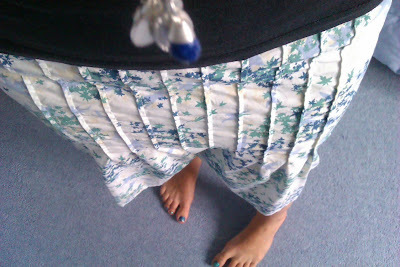 Medicated Follower of Fashion: What I wore - today! We're house sitting for my parents at the moment, whilst they are on holiday. It's mainly so we can take care of all the watering (although the rain is doing most of that today, apart from the greenhouse and house plants!) and look after Alfie the dog. I'm quite a dab hand at getting us packed up to stay away from home these days. We usually take two small holidays each year, house sit for my parents 3 times a year and visit friends and family at weekends, so I've got plenty of practice at packing everything we need but no extras. I admit, it is hard for someone who loves clothes, not only my own clothes, but Ethan's clothes. At first, I would pack far, far too much. It would always stress me out when we'd get home because it'd take soooo long to wash and put away. These days I'm more savvy, taking less and doing a wash just before we go back to our house so we don't have the dirty washing situation. Takes the stress out of it!! Something else I do is have a lot of stuff that lives at my parents house, PJs for us all, wash stuff, make up, contact lenses, spare clothes for Ethan, pull ups, a potty, books, toys, bottles, night lights, I try to make sure if we ever had to stay unplanned we'd be able to with minimum fuss. Anyway, what this is all leading up to is me explaining that I'm not really wearing many exciting or varied outfits this week. I brought a capsule wardrobe of mix and match items and I'm doing quite well. 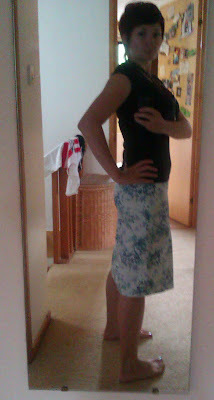 This is what I was wearing this morning... I've changed into jeans since because it's a bit nippy!! I'm afraid the photos are terrible because our main camera has run out of power and the one thing I forgot to pack (after singing my praises!!!) was the charger... Doh. So, these are from my phone and the lighting was terrible. Please forgive me!! 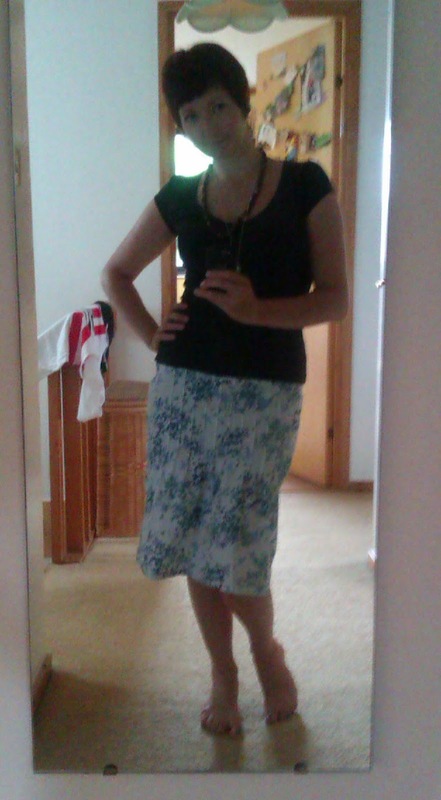 I like this outfit. The tops is old and basic, yes, but it also fits me well and is great against a patterned skirt. The skirt I am ecstatic with. I bought it from a charity shop the other week for a steal, without trying it on, so it was a gamble, but it fits like a dream and is flattering I think! Love the pattern as well. What do you think? Do you buy many clothes from charity shops/sales/thrift shops? Linking up with Transatlantic Blonde and Pleated Poppy. Pretty! I love the skirt! 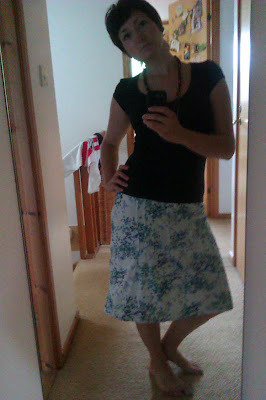 FUN skirt! LOVE that you have items from your mum that you wear! The charm necklace is super cute!